The “weather conditions” for our galaxy are, as always, partly cloudy. 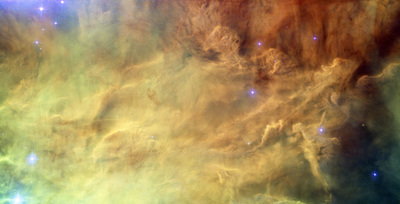 Supersized clouds that make Earth clouds seem like vapor droplets are hovering out in the sea of stars. 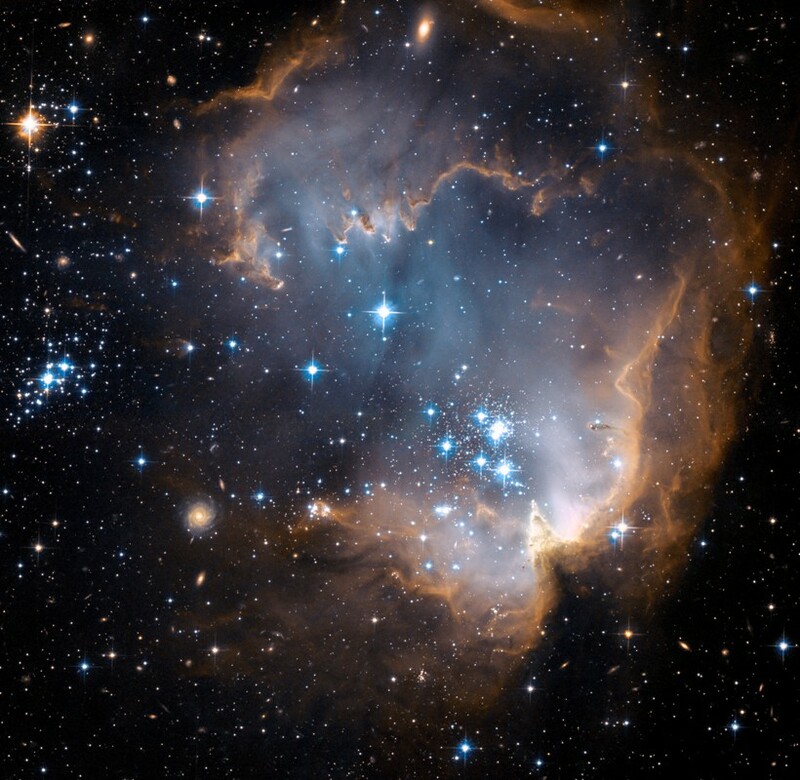 You may not see clouds in our atmosphere but if you look up in the stars with a telescope you can see clouds scattered around. 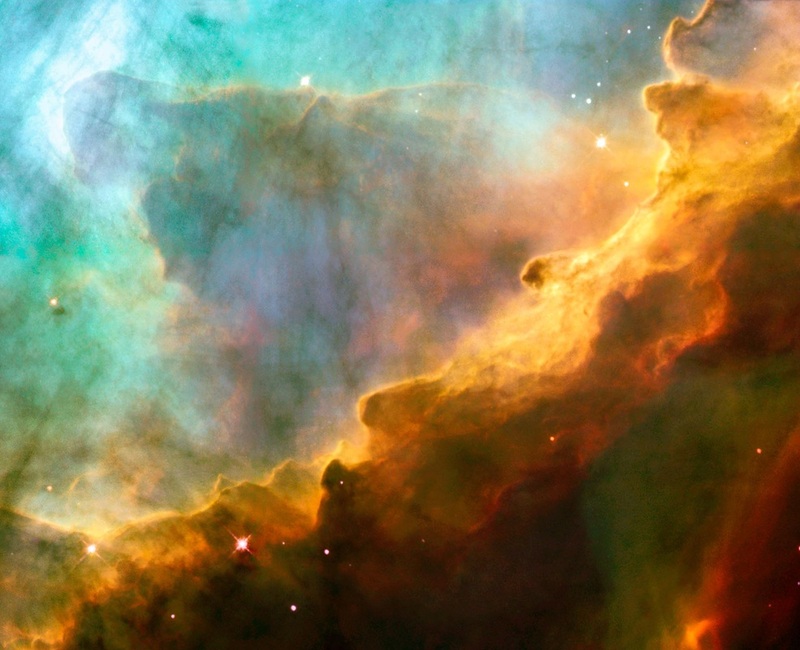 These cosmic clouds are called nebulae. The term nebula comes from the Latin word for cloud. 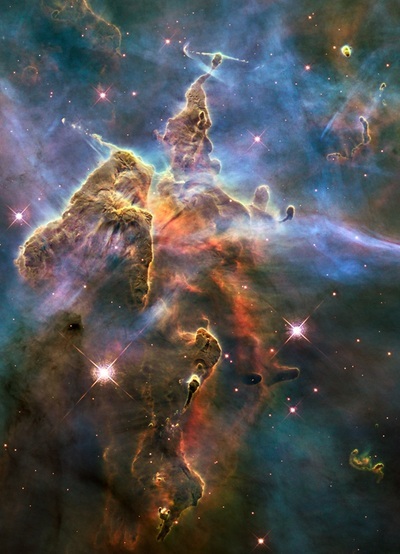 They are enormous and are much larger than the Earth itself. Many of these clouds are larger than even our Solar System. 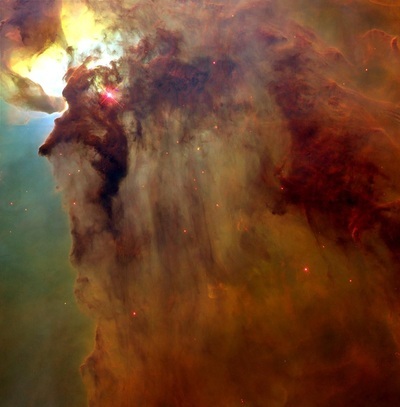 Nebulae are primarily made up of gases such as hydrogen and helium as well as microscopic dust particles. Just like clouds on the earth, these clouds are dynamic and slowly but continuously changing. Driven by intense radiation from nearby stars, the billowing swells of hydrogen gas and stardust surge across immense voids of nearly empty space at speeds that can easily exceed 20,000 mph. 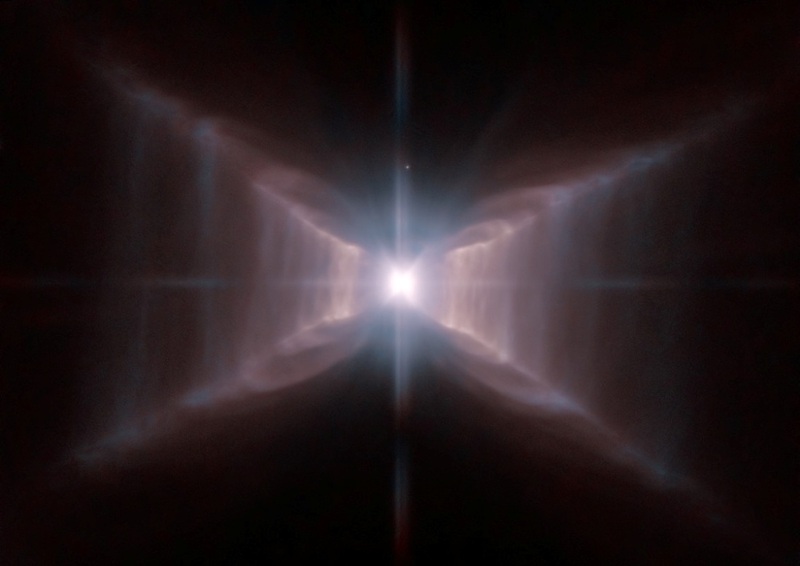 Yet the nebulae are so vast that even this high speed motion results in an overall change in appearance of the cloud that is hardly detectable from year to year as we watch from our vantage point nearly 7,500 light-years away. Sometimes exploding stars cause gases in nebulas to be blasted through space at super high speeds of up to 43 million mph, or 12,000 miles every second! But high speeds like that are exceptions to the norm of a relatively balmy six mile per second average speed for nebula gases. The bright filaments of gas and the various colors of these nebulae usually can’t be seen very well by directly observing through a telescope, but become evident only with long exposure astrophotography. 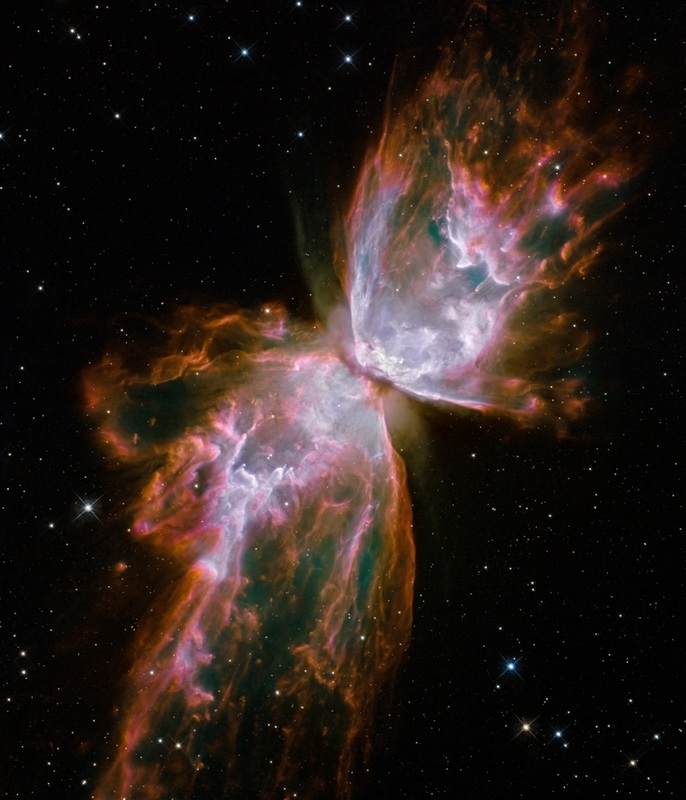 The two main types of diffuse nebulae are reflection and emission nebulae. 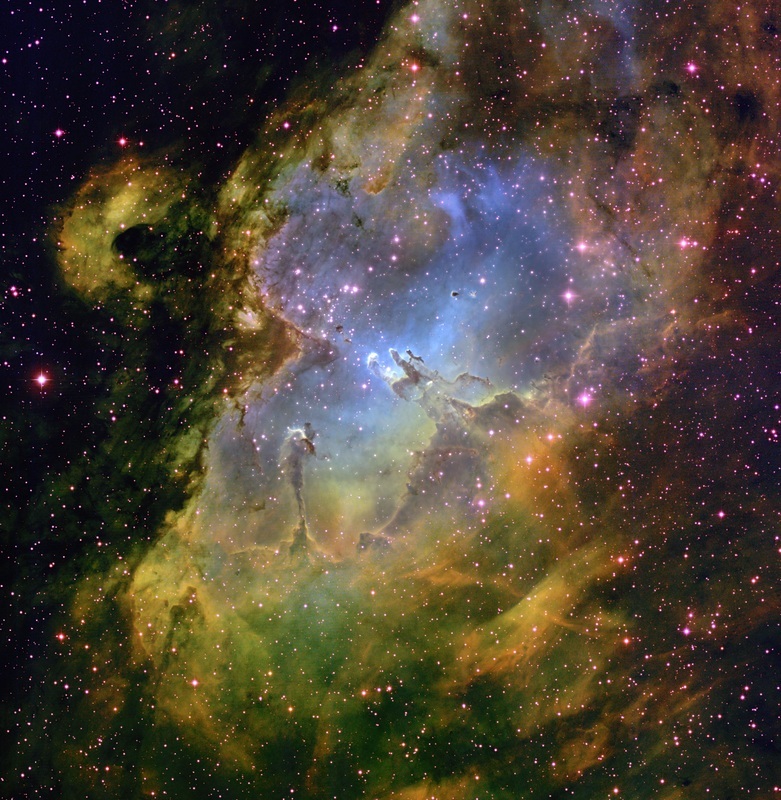 Reflection nebulae are clouds of gas and dust in space that shine by reflecting starlight from the stars scattered around them. 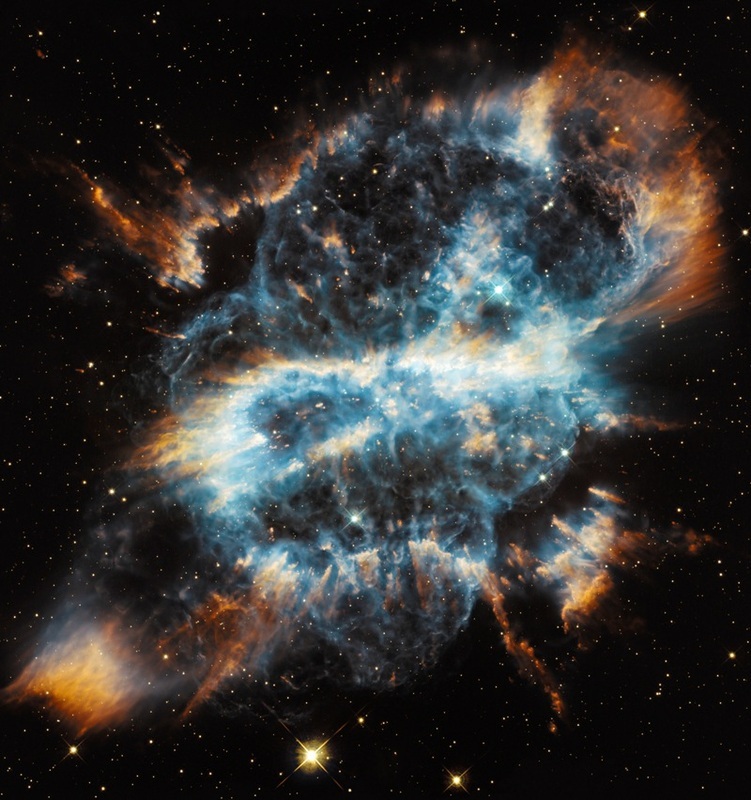 Emission nebulae shine with their own light when radiation from nearby stars ‘excite’ the gas, causing it to glow. 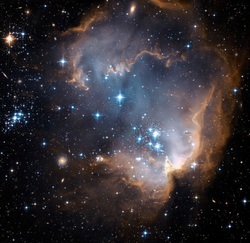 If a nebula is not close enough to the stars around it, it will neither reflect nor give off light. 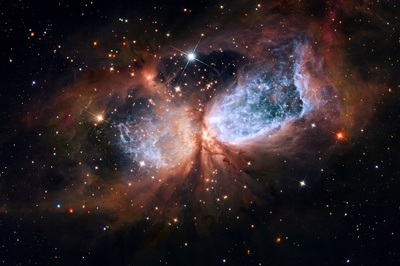 These are called dark nebulae. 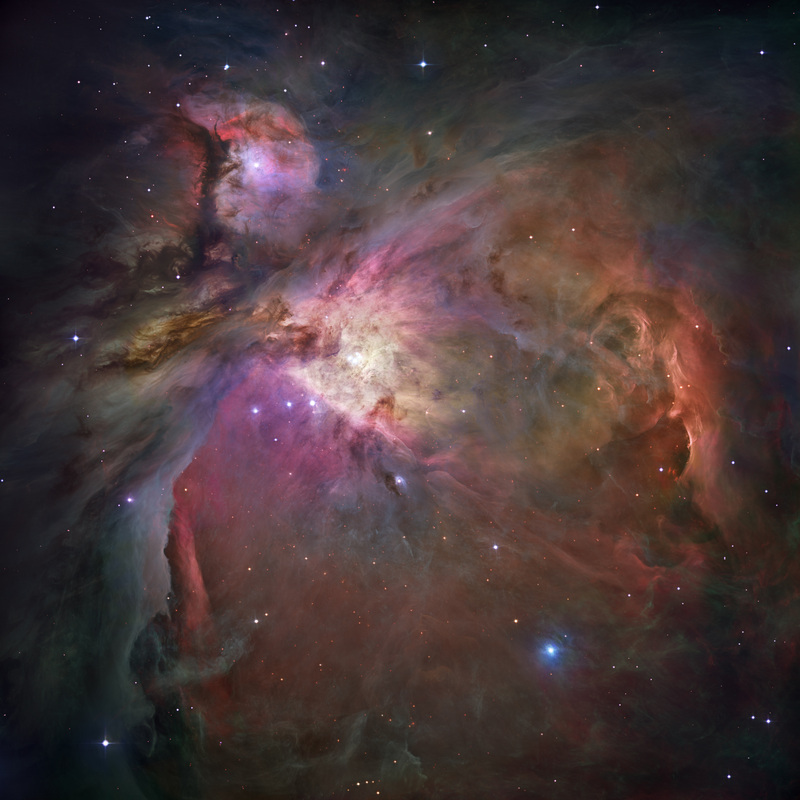 The Orion nebula, in the sword of the constellation Orion, is an example of a diffuse nebula. 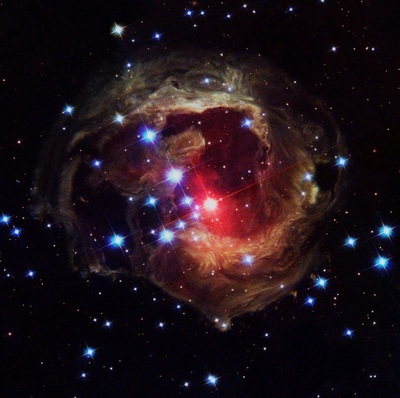 It is one of the most extraordinary and beautiful objects that we can see in the sky. Its beauty is simply for the purpose of bringing glory to its Creator. The Eagle nebula is another example of a diffuse nebula. 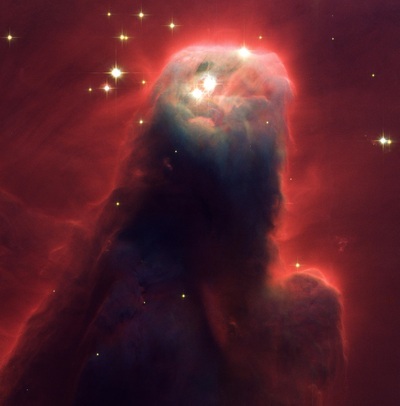 Near the center of the nebula are a few large pillars often called the “Pillars of Creation”. 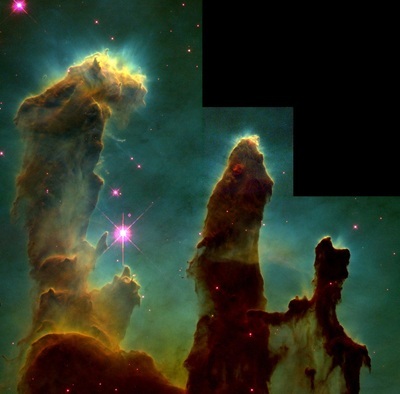 The largest of these pillars is one light year long, or six trillion miles, which is about 750,000 times the diameter of the Earth. 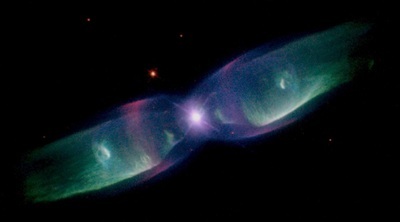 This type of nebula forms when a star begins to throw off its outer layers, creating a beautiful halo of gas around it. 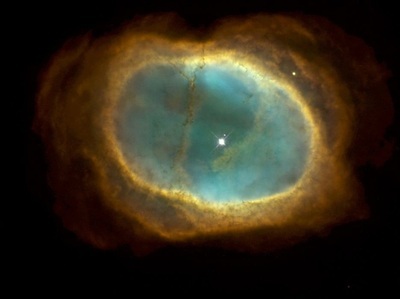 Contrary to what the name suggests, this type of nebula is totally unrelated to the planets. 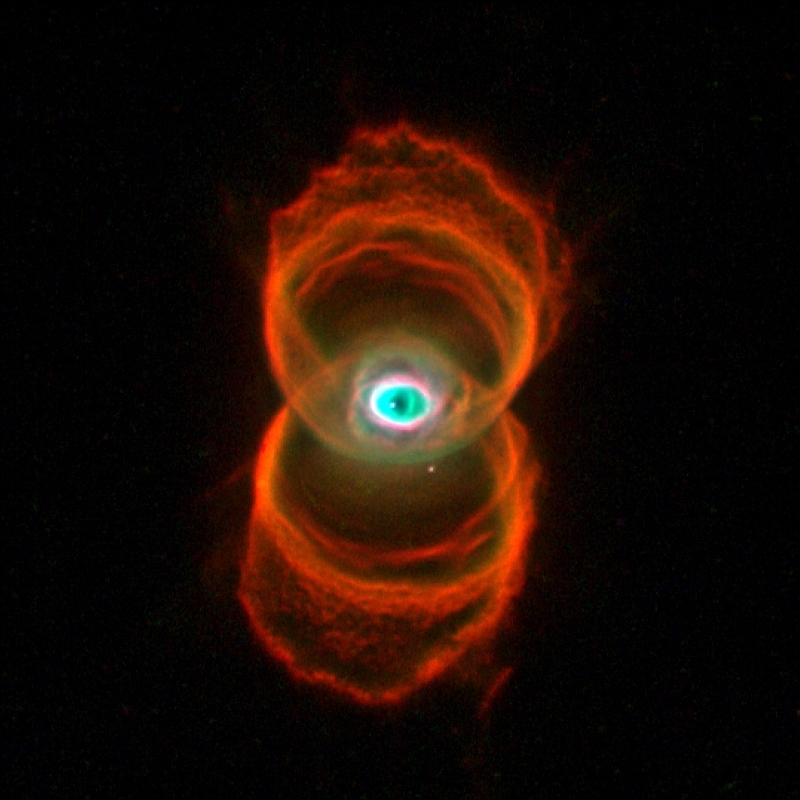 Astronomers in the 18th century viewed these nebulae through their small telescopes and what they saw resembled a planet; this is how the name originated. 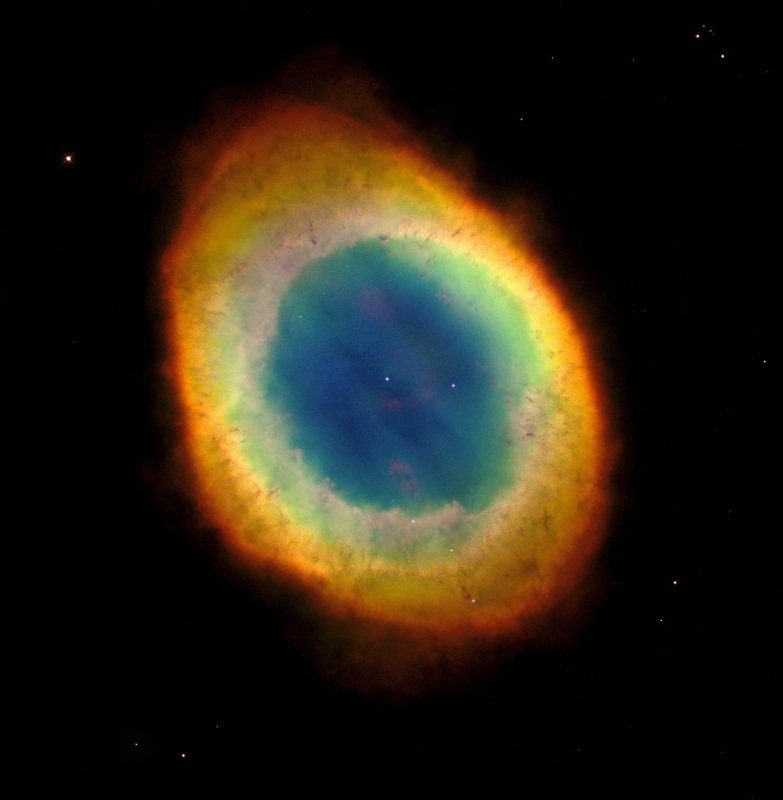 There are about 3,000 of these planetary nebulae that are known to exist in our galaxy. 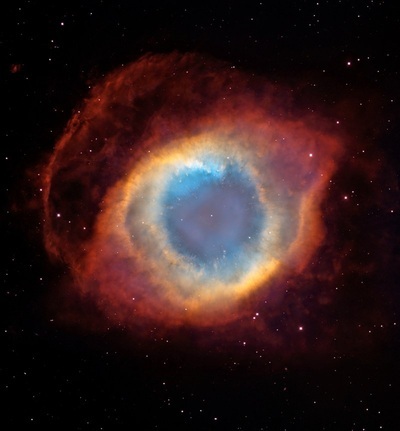 The Helix nebula and the Hourglass nebula are often referred to as “The Eye of God”, because their unique structure gives them the appearance of an eye. These can serve as reminders to us that God sees everything that happens in His universe and nothing that we do escapes His eye. 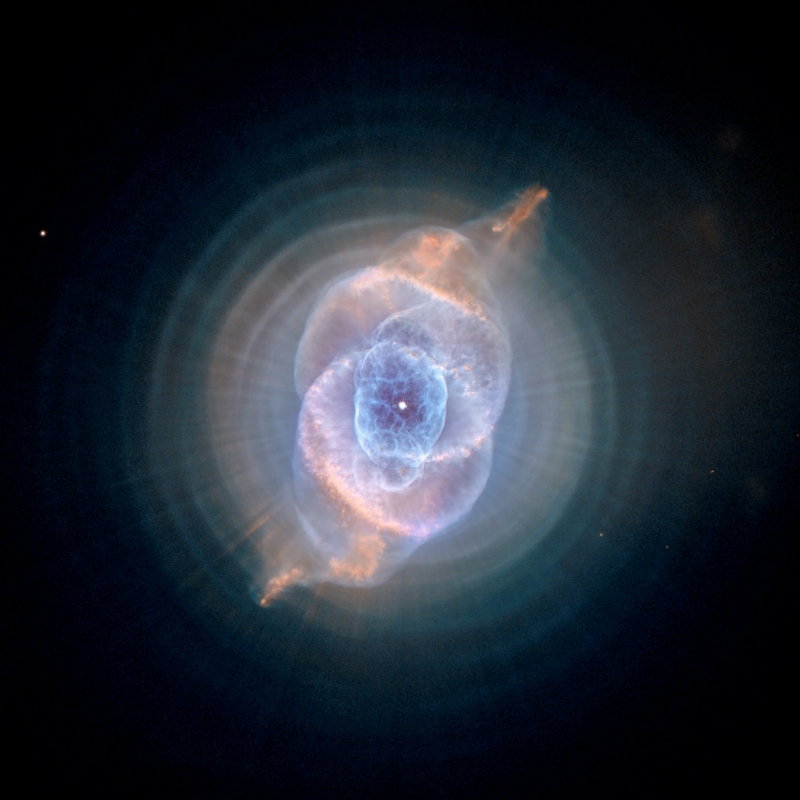 Planetary nebulae are also examples of how God can create beauty from destruction. God has left a remarkable touch of beauty all through his creation here on the Earth, and it’s also prominently displayed in the far reaches of the Universe through His masterpieces that we call Nebulae.